Used-car buyers have plenty of choice where to buy their next used car, and each place has its pros and cons. No one choice will be right for everyone, but whether you want a good price, good service or excellent back-up, you have the option. If you’re looking for a relatively young used car, a franchised dealer may be your best bet. You have the peace of mind of dealing with people who are experts in the car you’re thinking of buying, and they tend to have the best-quality cars. You may also be able to buy the car through the car maker’s Approved Used programme (Vauxhall’s Network Q is perhaps the most well known, but pretty much every maker operates a similar scheme), which will give the car a series of pre-sales checks, confirm its history, and almost certainly provide some sort of warranty or breakdown cover. Approved Used or not, a franchised dealer has the advantage that it can be a one-stop shop. It will almost certainly be able to provide you with options for finance and warranty, and most will be happy to part-exchange your existing car. However, this level of service and back-up doesn’t come cheap. Buying from a franchised dealer will almost certainly be the most expensive way to buy a used car. But, you may well decide the service makes it money well spent. At the top end, you’re talking plush surroundings, the availability of competitive finance and warranty packages, and the likelihood they’ll take your old car in part-exchange. You may even find specialists in the particular make or model you’re interested in, possibly with more knowledge than a franchised dealer. 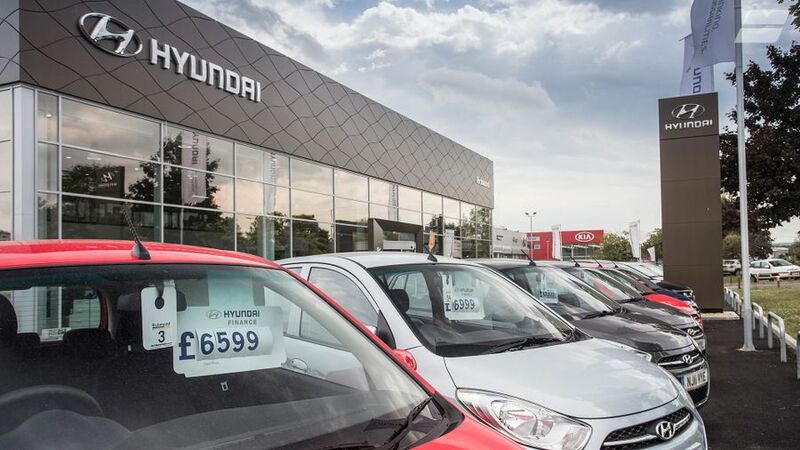 You can also find sites that specialise in nearly new cars, which are newer than the sort of stock you typically find at a franchise dealer, and they have no bias towards a particular maker. Wherever you go, the biggest advantage is that independents generally charge lower prices than franchised dealers. However, you may not be able to find someone with intimate knowledge of the car you’re buying, as you would at a franchise dealer. As daft as it may sound, the ‘pile ‘em high, sell ‘em cheap’ mentality works as well in car sales as it does with baked beans and breakfast cereal. And, that one word – cheap – is the main attraction for buying a car at a supermarket. Such sites tend to have a wide choice of cars (with a fast turnover of stock), and you may well be able to buy a car and drive it away on the same day. Most sites also offer finance, so they can be a one-stop shop. However, supermarkets tend to concentrate on mainstream models, so if you’re looking for something a little out of the ordinary, you may struggle. Plus, there’s a chance they’ll offer low part-exchange prices, and it’s quite common for them to charge an ‘admin fee’ on top of the price of the car. However, if you’re getting a great price on the car you’re buying, that may be less of an issue. Private sales can be a happy hunting ground for certain types of car. As the buyer doesn’t have to worry about keeping a business afloat with a big profit, prices can be very attractive. It can be hard work buying from a private seller, as you need to find a convenient time to view and test the car, and you have less legal back-up than if you bought from a trader. That means you need to make careful checks before you buy. Last, but not least, private sellers tend to be selling older cars, so if you’re looking for something newer, you may be better off looking at a trader. Auctions are great places to pick up bargains, but they’re usually the hunting ground of the trade, rather than private buyers. For the same reason, they’re not a great place for the inexperienced or uninitiated. It’s all too easy to get swept away by the speed and passion of the place, and end up with a poor deal. Anyone considering buying at auction would do well to make a couple of non-buying visits, just to get a feel of the place. It’s not always easy to know exactly what you’re buying in advance, as you won’t be able to test drive any car you’re interested in, and you have only the most limited chance to inspect any car. You also have little legal back-up if there are problems with the car, and there will almost certainly be an admin fee to pay on top of the price of the car. If you can take along someone from the trade to help, it’s worth considering, but otherwise it’s best left to the pros.